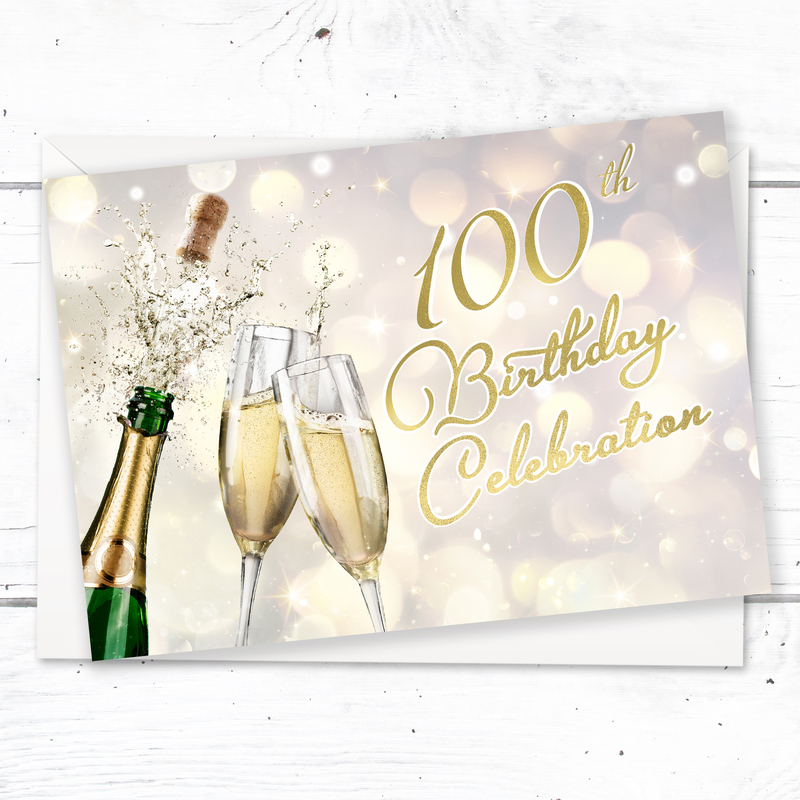 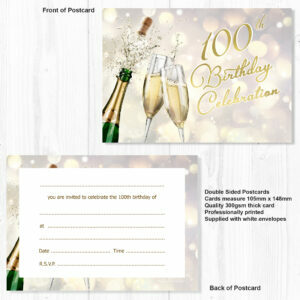 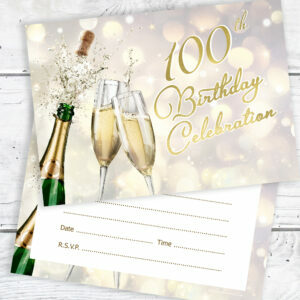 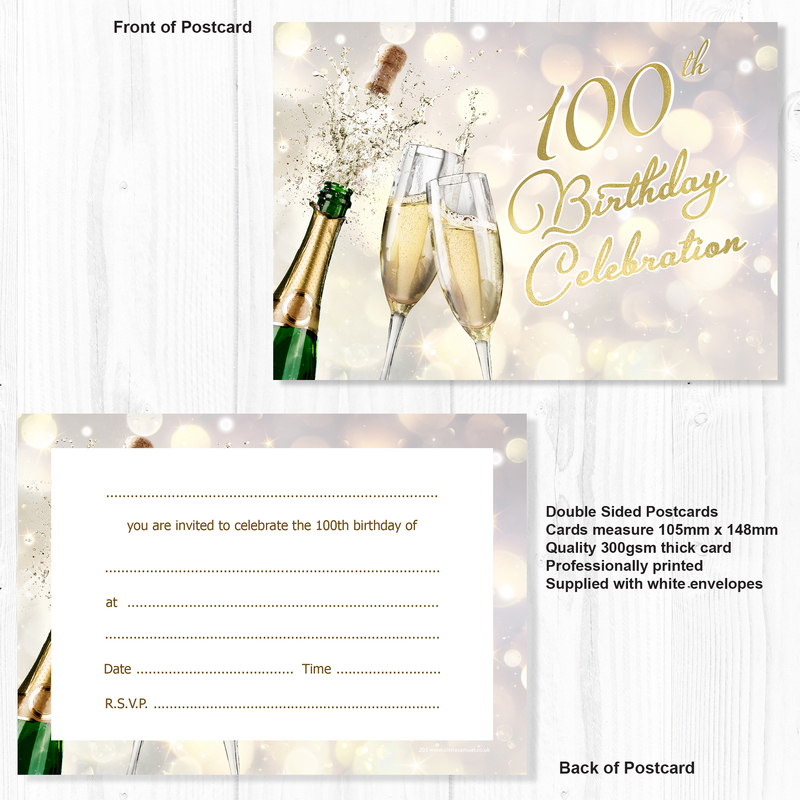 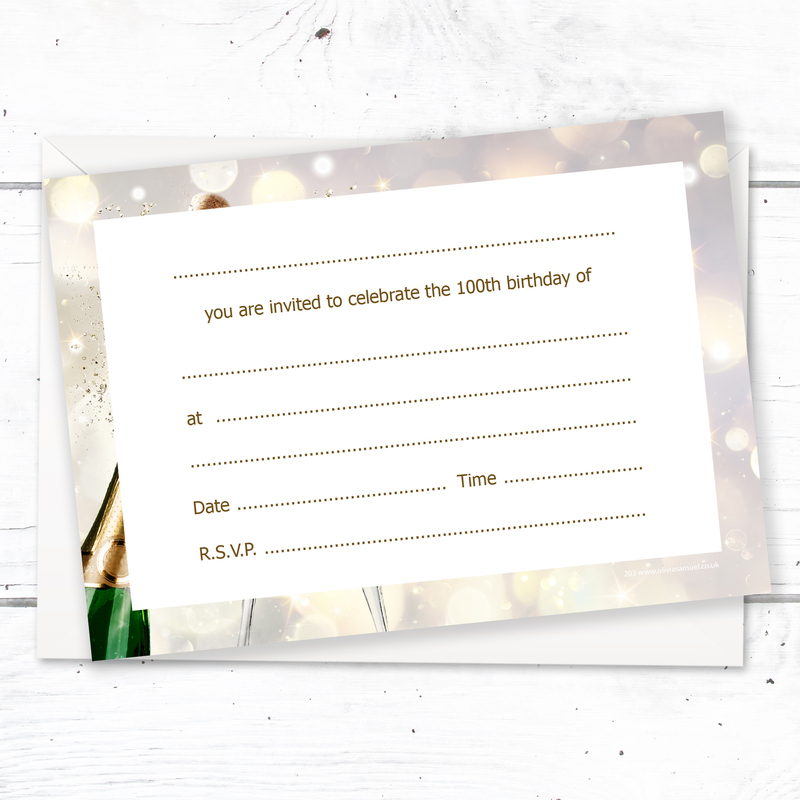 A pack of 10 champagne style 100th celebration invitation cards and envelopes. 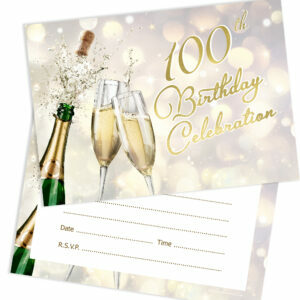 The design features a popping champagne bottle with glasses – perfect for a birthday dinner celebration or party. The A6 cards are ready for you to write your party details on the back. Printed and packaged in the UK by Olivia Samuel.